In the fast-changing world of digital marketing, you have to pay close attention to new trends, or you may miss the opportunity to attain a competitive advantage. In some cases, these trends come and go quickly, leaving you little time to react. The following is a look at some of the most important new digital marketing trends that you should note to close out 2017. In addition to big data, companies now focus on the types of data that feed the development of rich, targeted content. Intent data, for instance, is an increasingly important category that offers insights that help you connect the motives and behaviors of visitors to your website. Intent data evaluates the paths particular prospect types take during an online journey. With deep insights, you can better predict which types of content will appeal to precise segments based on their path and content consumption. Place your content in the right distribution channels at the right time to maximize impact. 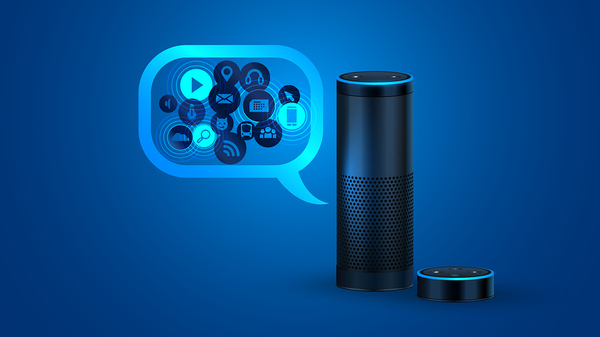 Smart watches, Alexa and other voice-activated search platforms are impacting the way consumers shop and purchase. Traditional retailers face a lot of challenges from more advanced technology providers in the voice-search era. To compete, many retailers are moving quickly to integrate digital technology and tools to amplify their in-store customer experience and to prepare for the shifting marketplace. Rather than serving as a distribution outlet for content, social media apps may begin to offer direct publishing opportunities for users. LinkedIn has long been used by companies to deliver direct content. However, expect that more social media channels, such as Snapchat, Instagram and Twitter, will give users the ability to create instant articles that more quickly reach social media users. Artificial intelligence is taking hold of big data usage and digital communication. AI fuels predictive analytics by helping companies combine benefits of analytics technology with human intuition. Digitally, automated marketing strategies enable much more efficient delivery of content that still achieves relevance comparable to manual systems. Integration of image and video content into blogs and social media messages is still increasing. Digital buyers have grown accustomed to digesting quick messages through quality images and short video content. Mobile consumption of video content is at an all-time high and is still growing. More apps and tools are being regularly introduced that allow users to improve content without strong graphic design skills. These are a handful of the digital marketing trends picking up steam to close out 2017. If you take too long to integrate these into your strategies, you will likely miss the window of opportunity. Given the competition you face, you can’t afford to delay. Let Response Mine Health, an expert digital marketing agency, help you achieve your digital marketing goals. Contact us today!